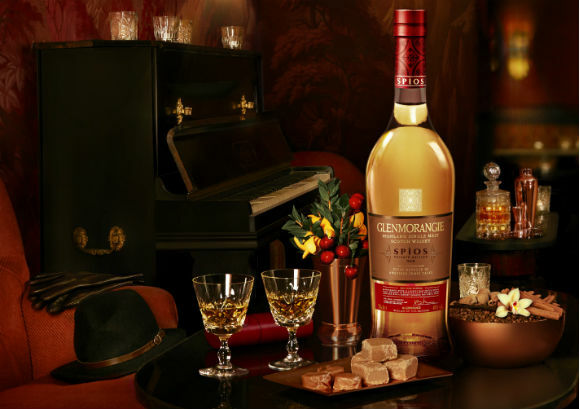 Another year, another Glenmorangie Private Edition. I’ve rather enjoyed the recent Private Editions – Bacalta and Milsean – and I have no reason to expect anything will change here. Dr. Bill Lumsden, ‘Director of Distilling, Whisky Creation & Whisky Stocks’ at Glenmorangie Plc, has really pushed the envelope here. Those familiar with Bill know he has an almost unhealthy obsession insatiable fascination with how wood influences the character of a whisky. Look back at my articles on the two most recent Private Editions (here and here) and you’ll get a sense of what I’m on about. 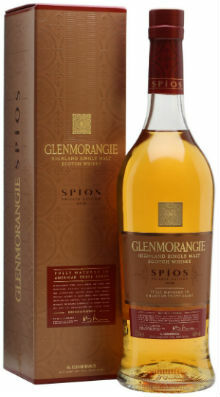 Spìos, Scots Gaelic for ‘spice’, is no different; this whisky has spent its entire life maturing in first fill ex-rye whiskey casks from the US. Nose: Balsa wood, pine cone, ice cream cone, and quite cereally to begin; dusty muesli, bran flakes, barley water and dry twigs. Then there’s all sorts of creamy sweet things; honeycomb, crème brûlée, floral honey, buttery pastries, vanilla custard, apricots, and melting marshmallows. Palate: Silky smooth to begin, with a lovely oily mouthfeel. Peaches, pear juice, candyfloss, banana flakes, white cooking chocolate and cinder toffee. Then lime zest and lemon sherbet followed by a good kick of spice; cinnamon, gingerbread and faint mustard seed. Finish: The creamy vanilla returns with a lingering, dry, earthy woodspice. Overall: I’d read some mixed things about this whisky before trying it. It’s a bit of a game of two halves, perhaps wee bit disjointed, with the classic Glenmorangie notes jostling for attention with the spice and cereal notes from the rye casks, but I quite like it. It’s a very intriguing whisky, and more to the point, an enjoyable whisky. The price point irks a bit though… £75 is a bit high to be honest, but it’s certainly worth finding by the dram in a bar and giving it a whirl. This entry was posted	on Friday, March 9th, 2018 at 8:45 am	and is filed under Reviews. You can follow any responses to this entry through the RSS 2.0 feed. You can leave a response, or trackback from your own site. a whisky that makes you wonder…. first because it is not a whisky matured in “ordinary” or “standard” straight rye barrels that means barrels from those ryes that Dr. Bill fell in love with in the 1990s. Quite obvious the barrels used to mature the Spios are barrels in which Seagrams 95/5 rye has been matured for 6 years before. The Seagram 95% rye 5% malted barley recipe today comes from the MGP, former LDI facility in Lawrenceburg, Indiana and is a bulk offer that many NPD buy and sell under different names. Whatever, Spios was not matured in barrles in which a usual straight rye with 51%+ rye content had been matured so no Rittenhouse Sazerac Beam or Old Overholt barrels. One wonders what the Spios would be like if more “usual rye” barrels had been used. It would seem that for the rye to make an impact onto a about 10yo Glenmorangie at all it had to be the 95/5 rye from MGP.